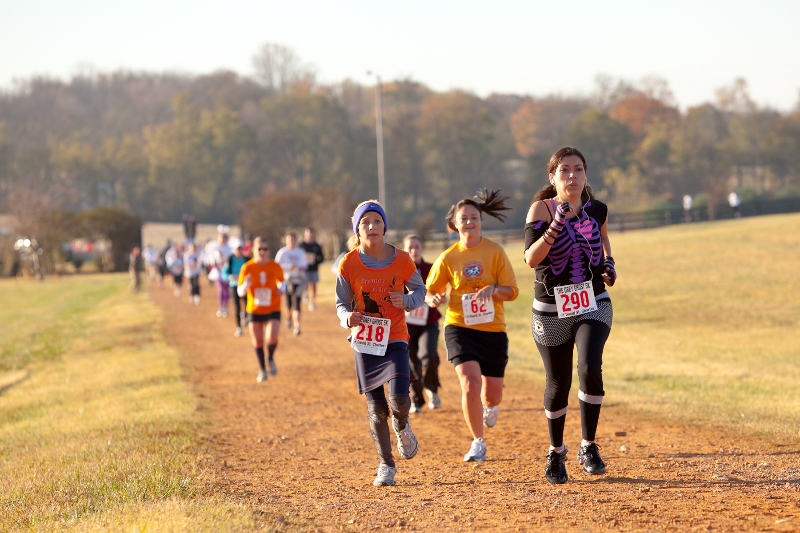 The Grey Ghost 5K is a certified 3.1-mile run held at the historic Oaklawn Plantation on Denning Lane in Spring Hill, Tenn. The race is an out-and-back country course on hilly and scenic Denning Lane. The course is officially certified for timing purposes and chip timed. The Goblin Gallop includes two kids' runs held on the dirt road around the home and on the front drive. Participants are welcome to wear a family friendly costume for the 5K Race and Goblin Gallop. The race proceeds benefit Partners 4 Parks, a nonprofit, nonpartisan group that seeks to promote health and wellness through the enhancement of passive and active parks, greenways, open space and recreational activities in Spring Hill & Thompson's Station.